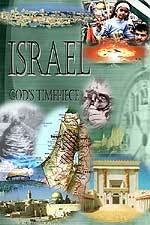 Title: BIBLE PROPHECY AND ILLUMINIST PLAN ARE BEING FULFILLED IN JERUSALEM! Subtitle: Incredibly, current news events in Jerusalem are fulfilling Bible prophecy and a particular part of the Globalist Plan known as the "New Jerusalem Covenant Project". A formal worship center for all monotheistic faiths is in the works. The coming of Antichrist edges forward. To understand the exciting news story which forms the basis for this article , we need to go back in time to August 18, 1991, when I was sneaked into a seminar for members only, at the Boston House of Theosophy. The New England Director had just returned from a 3-year stint in Jerusalem, working on a committee planning the transition to an Israel fully submitted to the global community, i.e., under the expected Jewish Messiah. The name of this panel on which the New England Director had been working for three full years was "The New Jerusalem Covenant Project". Some of the steps Lambert outlined have already occurred, but one of the most intriguing steps is the part of this plan to internationalize Jerusalem to the extent that control of the various holy places of Christianity, Islam, and Judaism would be controlled by the International Community. Once this portion of Jerusalem is controlled, the International Community will build a "combination Temple/Church/Mosque" in Jerusalem. Of course, Lambert here is speaking of the three monotheistic religions of the world, each of which currently claim Jerusalem as their holy city. Once the areas now controlled by these three religions -- Judaism, Christianity, and Islam -- are controlled by the international community and are combined, the "New Jerusalem Covenant" will be declared, as will the New World Order Religion. But, note again that this specific part of the New World Order Plan, called the "New Jerusalem Covenant Project", envisions the establishment of a religious Jerusalem comprised of a combination of the three monotheistic religions of the world -- Islam, Christianity, Judaism. Bill further stated that "any purely political settlement in the Middle East would not, by itself, bring peace. In other words, a purely political settlement would leave the religious nature of the problem unsolved. Any permanent solution to the Middle East conflict would also have to see the religious portion of the problem solved. Once this religious problem is solved, then the power and influence of the Orthodox Jews in Israel would permanently decline." Lambert's statement reveals the intense hatred the Illuminati has for the Orthodox Jew, a hatred that Jewish journalist, Barry Chamish, has chronicled well. Cutting Edge has also spoken at length over the past years of this intense hatred by the secular Jew against the religiously observant Jew. This hatred is quite surprising, and is a major factor in the coming forced evacuation of Jewish settlers from The Gaza Strip and the West Bank. Most of the settlers are religiously observant, while the Olmert government is heavily dependent upon the secular Jewish majority for their support in ousting the settlers from their homes. Matthew 24:6-7 will then be fulfilled; once again, the Illuminati is caught crafting a plan that simply fulfills prophecy! Lambert's plan invokes the "Rumors of Wars" prophecy of which Jesus was speaking, above. The very next matter Lambert covered was the appearance of Antichrist [Read Verbatim Notes from this seminar, [NEWS1052]. The very fact that we see a "radical" proposal to give control of religious Jerusalem to the International Community tells us we are getting much closer to the actual appearance of Antichrist and to the war that will produce him. Now that we have just learned that the Plan calls for the International Community will build a "combination Temple/Church/Mosque" in Jerusalem, in order to finally solve the seemingly intractable religious hatred emanating from the Middle East for the past many centuries, let us examine a current news story which seems to herald the beginning of this religious effort! BUILDING A COMBINATION JEWISH/CHRISTIAN/ISLAMIC HEADQUARTERS IN JERUSALEM! "(IsraelNN.com) Israel's Ashkenazi chief rabbi, Yonah Metzger, meeting with the Dalai Lama, a Buddhist monk who is the leader of Tibet, suggested that representatives of the world's religions establish a United Nations in Jerusalem, representing religions instead of nations, like the UN currently based in New York. 'Instead of planning for nuclear war and buying tanks and fighter jets, it will invest in peace', Metzger said. He later reported that the Tibetan leader was very excited about the idea and offered to help advance it." Notice here that the Tibetan Dalai Lama was merely asked to facilitate the building of this United Nations. He was not asked to join the Tibetan religion here. The next segment tells us which religions are mentioned as to actually attending the planning meeting. "Also at the meeting was Chief Sephardic Rabbi Shlomo Amar, Rabbi David Rosen of the American Jewish Committee (who is on good terms with the Roman Catholic Church), Rabbi Menachem Froman of Tekoa, kadis (Ethiopian rabbis) and various Islamic sheikhs." Even though the Catholic Church may not have attended this planning meeting, the mere mention that the American Jewish Committee is "on good terms with the Roman Catholic Church" implies that the Vatican is being kept in the loop on this issue and is being regularly consulted. We have to watch this development with interest. If this planning meeting does develop into a combination Jewish/Islamic/Christian worship center, we will know that the "New Jerusalem Covenant Project" is still the primary guiding light behind events in the Middle East. This is the False Prophet, whose "two horns like a lamb" means that he will claim to be Christian and accepted as such. He is the Second Beast, exercising all the power and "lying signs and wonders" of the First Beast (Antichrist). Note that he "causeth the earth and them which dwell therein" to worship Antichrist. The emphasis is on the entire world being caused to worship Antichrist. This is the global economy, where the "Mark of the Beast" which will firmly control every person of every transaction on earth and which is being forced upon "all" peoples of the Earth by the False Prophet. 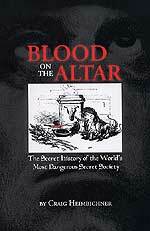 Of particular interest is that Bill Lambert of the New England House of Theosophy [NEWS1052] revealed that the Illuminati had decided that the Roman Catholic Pope (whomever he is at the time) will be the top religious leader of the New World Order Religion, thus confirming him as the False Prophet. With the idea of a key role planned for the Roman Catholic Pope, let us now return to the notes on the seminar at the New England House of Theosophy [NEWS1052] to see what is planned to happen once the combination worship center is actually built. In fact, let us list all five of the planned steps. Step Two -- General Fear of War needed to be instituted and maintained in order to provide the pressure needed to move the parties into this plan (NOTE: When Arafat began his Intifada on September 29, 2000, Israel was plunged into the "Fear of War" scenario from which she has never emerged. Further, when President Bush ordered Coalition Forces to attack Iraq on March 20, 2003, he plunged that region into an actual war from which it has not recovered, but just as importantly, the US invasion plunged the world into an unprecedented "Fear of War", or "Rumors of Wars" which will not abate until the planned World War III is under way. How many times have we heard since March 20, 2003, that our attack in Iraq has increased global terrorism, and has made all of us more vulnerable to terror attack, not less? This is all part of Lambert's "Fear of War which must be maintained" -- until the "New Jerusalem Covenant" is established. We shall have to watch this situation to see how it develops and how quickly it develops. 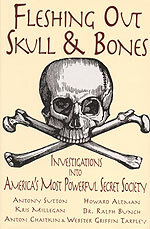 Truly, the End of the Age is upon us, as we see the outworking of the Illuminati Plan. However, remember that this combining of the world's religions will take time to develop, another indicator that the beginning of World War III is further off than March 20-28, this year.